Do you want your spa voucher today? Relax! 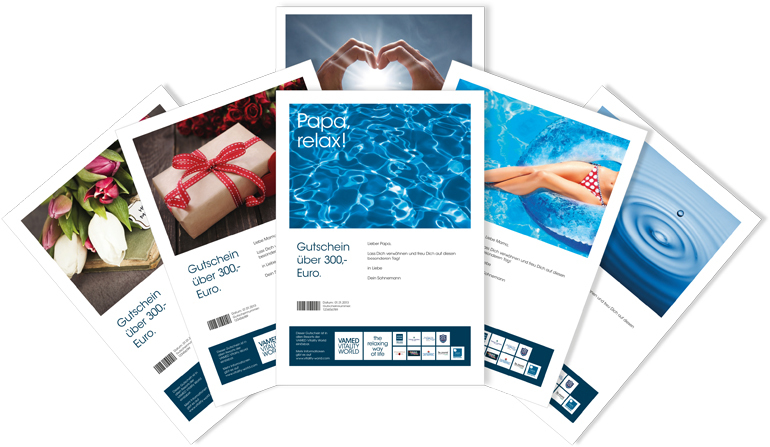 You can order your VAMED Vitality World print@home vouchers online and print them out in the comfort of your own home with the design of your choice. VAMED Vitality World’s quick voucher – valid at all resorts. Only available at the online shop.